This page includes information and links to organizations with which the Respect Life Office has directly worked to defend religious liberty and conscience protection. To learn how your organization can be included in our list of resources, please contact the Respect Life Office. Recognizing the need for a strong, coordinated legal defense against growing attacks on religious freedom, more than 30 prominent Christian leaders launched Alliance Defending Freedom in 1994. Over the past 20 years, this unique legal organization has brought together thousands of Christian attorneys and like-minded organizations that work tirelessly to advocate for the right of people to freely live out their faith in America and around the world. Unlike any other legal organization, Alliance Defending Freedom employs a unique combination of strategy, training, funding, and litigation to empower its allies and achieve victory for religious freedom. 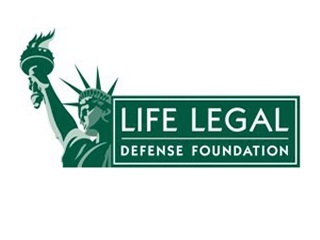 The mission of Life Legal Defense Foundation (LLDF) is to give innocent and helpless human beings of any age, particularly children in the womb, a trained and committed defense against the threat of death, and to support their advocates in the nation’s courtrooms. Life Legal will accomplish its mission through the law and education. The Thomas More Society is a not-for-profit, national public interest law firm dedicated to restoring respect in law for life, family, and religious liberty. Based in Chicago, the Thomas More Society defends and fosters support for these causes by providing high quality pro bono legal services from local trial courts all the way to the United States Supreme Court. The Thomas More Society has assisted thousands of clients including some of the nation’s most renowned pro-life and religious leaders: David Bereit and 40 Days for Life, Lila Rose and Live Action, Joe, Ann and Eric Scheidler and Pro-Life Action League, Troy Newman and Operation Rescue, Former Kansas Attorney General Phill Kline, Catholic Bishops, Catholic Charities, Dioceses, Religious Orders, the Notre Dame Protestors (“ND88”) and many more.